We next thing talked about is How to make the Leukemia Cure recently FDA approved as a example of "Viral Targeting". This is controlled by Glycoproteins which act as "Lock Picks" each glycoprotein has a certain receptor that is will open. Now with HIV and FIV glycoproteins we have be targetting cells with a CD4 receptor on the surface of the cell, which is contained by T-cells, the Vector has in the past has infected the other cells due to them being Stem Cells Embryonic or Skin Stem Cells, but the way that the HIV Vector keeps entering is CD4 Receptor. 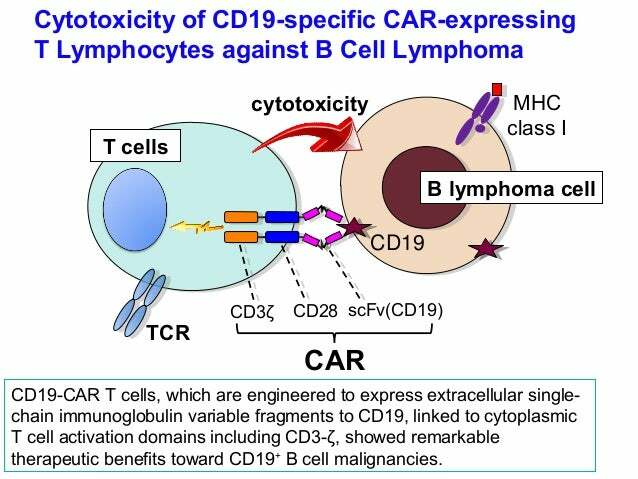 Now the people who made the Leukemia Cure noticed that cancerous cells of B-cells had increased amounts of CD19 on the cancerous leukemia Cells. This CD19 receptor is for the B-lymphocyte antigen. 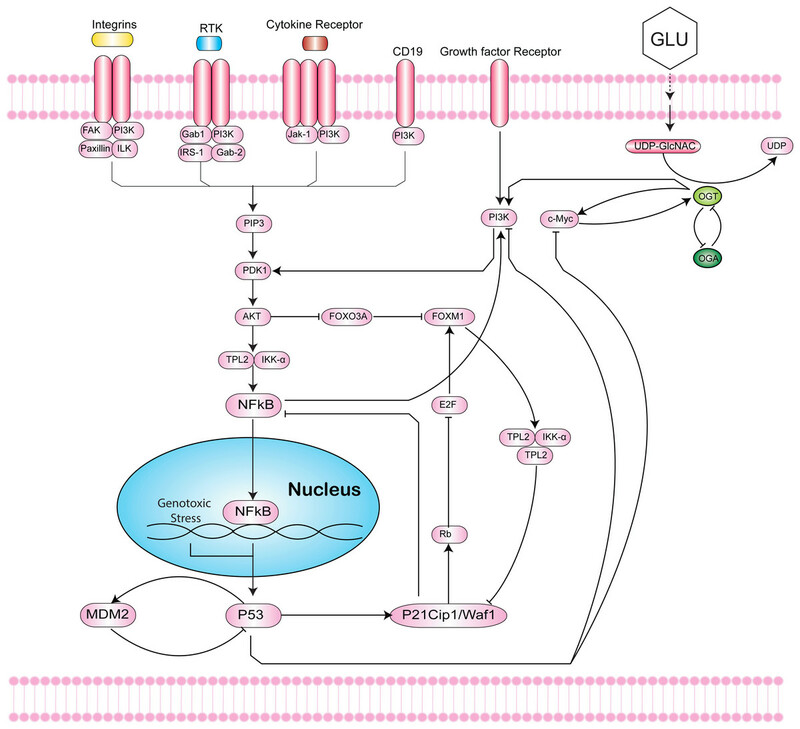 This receptor is in a metabolic pathways with tumor suppressor P53 which can make the cell undergo apoptosis when this receptor is stimulated. They made a site on the surface of a white blood cell called a Chimeric Antigen Receptor or CARs. 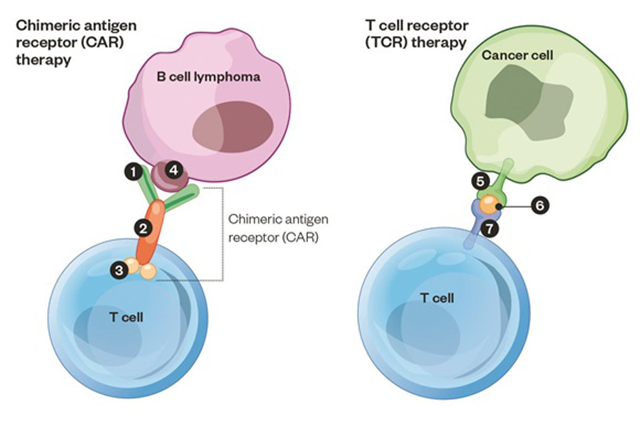 These surface proteins on the T-cell will make a stalk and site that will touch this receptor that is not naturally there on the surface of a T-cell. The CARs is constructed of CD3, CD28,ScFv from 3' to 5' in that exact order or the Chimeric Antigen receptor will not be generated. This time the Genes that will be in the packaging Plasmid are LTR 3' - CD3 - CD28 - ScFv - LTR 5' , which can be constructed using Viral Gene Synthesis this will insert the genes that code the proteins for the CARs structure into the T-Cell. You now generate the HIV Viral Vector. The HIV Viral Vector needs to be put into a test tube, then in a IV to put into the bloodstream of the B-Cell Leukemia patient. This will allow the HIV Viral Vector to modify all the T-Cells in the bloodstream that will now hunt down and kill Leukemia cells in 90% of cases. This works much the same way as constructing a Glycoprotein.